Beaverton Human Rights Advisory Commission sponsors contest, now in its 14th year, to stimulate thoughts from Beaverton school children. 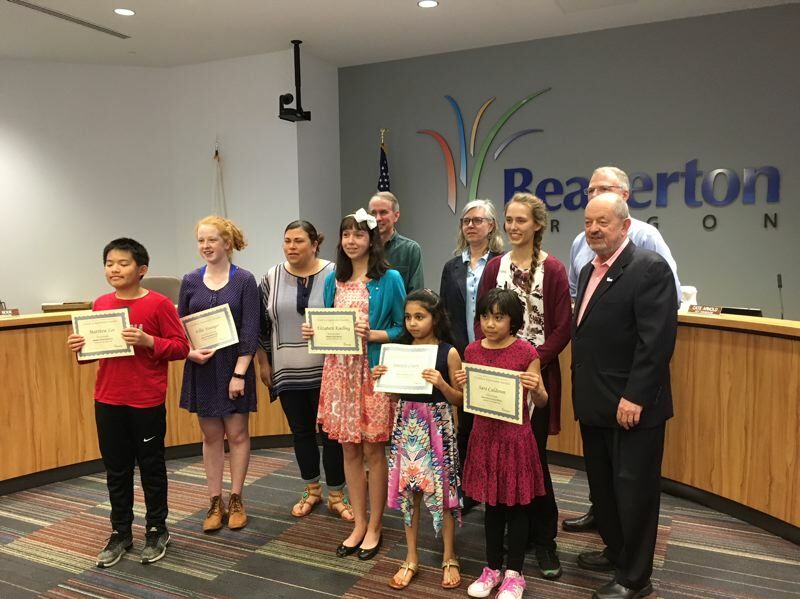 Student winners and runners-up were honored by the Beaverton City Council for their entries about human rights. The city Human Rights Advisory Commission sponsors the annual creative expression contest, now in its 14th year, to invite students to portray human rights. Students may use any medium to express their ideas — written or spoken word, film, music or art. Students were recognized at the council meeting Tuesday, May 1. • Elementary School: First, "Wall of Shame," by Sara Calderon, third grade, Aloha-Huber Park; runner-up, "Equal Rights for All," Smrithi Chary, second grade, Jacob Wismer. • Middle School: First, "Break the Chains," Elizabeth Koelling, sixth grade, Holy Trinity Catholic School; runner-up, "We Are Malala," Matthew Lei, seventh grade, West Sylvan Middle School. • High School: First, "Finding the Gray," Julia Hildebrandt, junior, Sunset High School; runner-up, "Sanctuary City Essay," Ellie Younger, junior, Southridge High School.